WH100 Color: Gray Features: -Wakefield collection. -Handmade. -Has a drain hole. -Use as a cachepot or plant directly into. 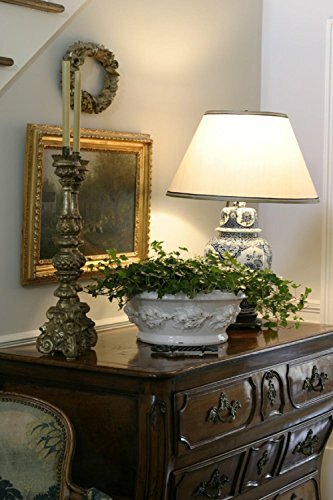 -Protect furniture by lining interior of the pot. -Protect from frost and freezing. Material: -Ceramic. Number of Items Included: -2. Shape: -Round. Product Care: -Protect from frost and freezing.. Material Details: -Terracotta. Dimensions: Overall Height - Top to Bottom: -4.75". Overall Height - Top to Bottom: -4.5". Overall Width - Side to Side: -8". Overall Width - Side to Side: -11". Overall Depth - Front to Back: -11.5". Overall Depth - Front to Back: -11". Overall Product Weight: -5 lbs. Overall Product Weight: -10 lbs. 2367S Size: Small Features: -Has no drain hole. -Use as a cachepot or plant directly into. 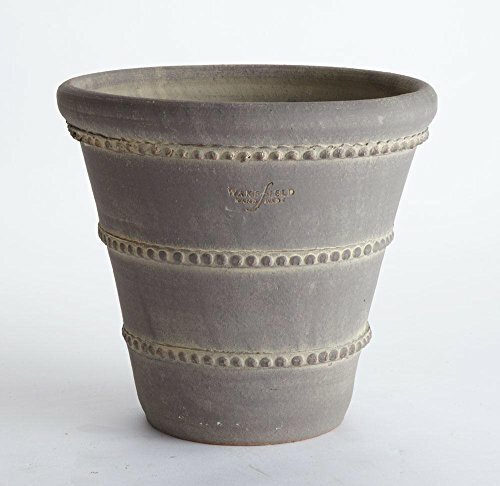 -Protect furniture by lining interior of pot. -Protect from frost and freezing. Material: -Ceramic. Color: -White. Shape: -Round. Product Care: -Protect from frost and freezing.. Material Details: -Cement. Dimensions: Size Small - Overall Height - Top to Bottom: -4.25". Size Small - Overall Width - Side to Side: -5.25". Size Small - Overall Depth - Front to Back: -5". Size Small - Overall Product Weight: -2.5 lbs. Size Large - Overall Height - Top to Bottom: -6.25". Size Large - Overall Width - Side to Side: -7.25". Size Large - Overall Depth - Front to Back: -7". Size Large - Overall Product Weight: -3.5 lbs. Size Medium - Overall Height - Top to Bottom: -5". Size Medium - Overall Width - Side to Side: -5.75". Size Medium - Overall Depth - Front to Back: -5.5". Size Medium - Overall Product Weight: -3 lbs. Glazed interior, matte exterior finish. With drain holes. 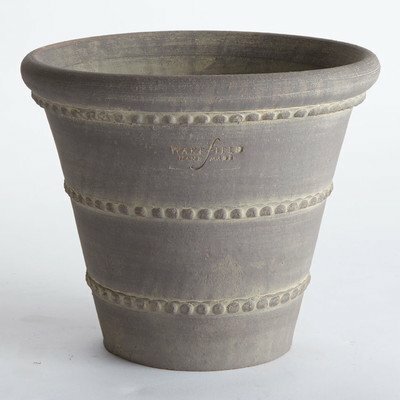 Wakefield Handmade Large Oldham Pot, Slate Grey Finish. Master potter, Peter Wakefield takes a fresh look at European pottery created centuries ago. 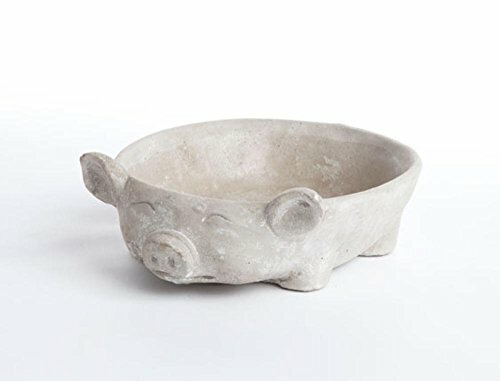 The Wakefield Handmade brand is made exclusively for Napa Home and Garden, but a group of talented artisans in Honduras who have been working with peter for the past 15 years to create handmade garden pottery. Handcrafted by skilled artisans, each piece is an original and varies in size and color. WH106M Size: Medium Features: -Wakefield collection. -Handmade. -Has a drain hole. 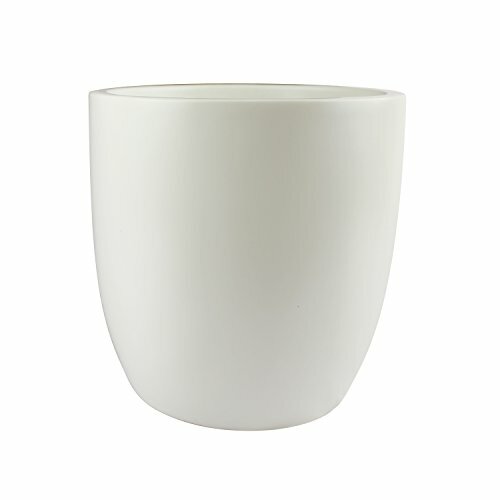 -Use as a cachepot or plant directly into. 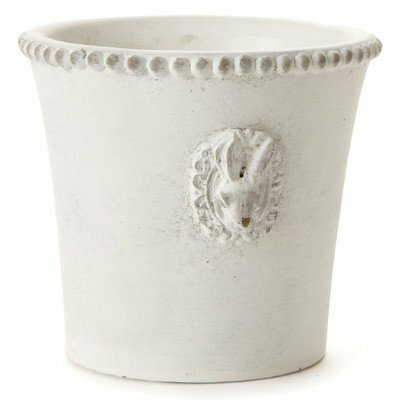 -Protect furniture by lining interior of the pot. -Protect from frost and freezing. Material: -Ceramic. Color: -Gray and brown. Shape: -Round. Product Care: -Protect from frost and freezing.. Material Details: -Terracotta. Dimensions: Size Large - Overall Height - Top to Bottom: -9.25". Size Large - Overall Width - Side to Side: -10.5". Size Large - Overall Depth - Front to Back: -10.5". Size Large - Overall Product Weight: -18 lbs. Size Medium - Overall Height - Top to Bottom: -7.75". Size Medium - Overall Width - Side to Side: -9.25". Size Medium - Overall Depth - Front to Back: -9.25". Size Medium - Overall Product Weight: -10 lbs. Size Small - Overall Height - Top to Bottom: -6.75". Size Small - Overall Width - Side to Side: -7.75". Size Small - Overall Depth - Front to Back: -7.75". Size Small - Overall Product Weight: -5 lbs. 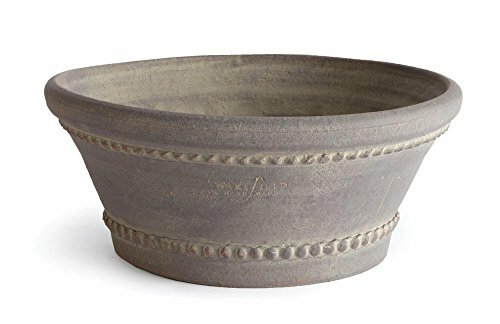 Novelty MFG Co Napa Bowl Planter is made from a proprietary blend of resin and natural stone allowing for long lasting use. Features maximum frost and UV resistance, a footed bottom for optimal airflow and designed for use without saucer or tray for added convenience. Constructed with a built-in water minder reservoir drainage system rehydrating plants as needed. 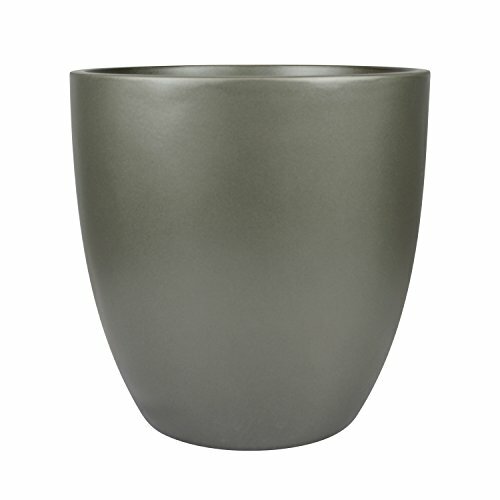 Planter is durable enough to be left outdoors year round. Includes a 1 year limited warranty. 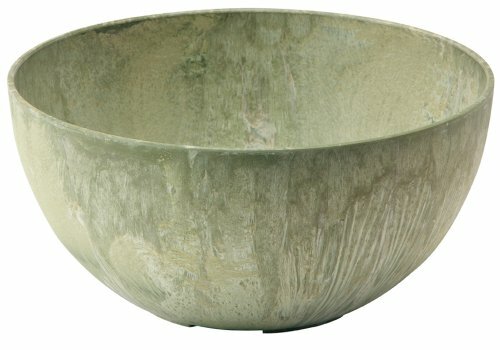 Available in sage and measures 10". Shopping Results for "Napa Round Pot"